We are able to undertake full central heating installations as well as Boiler Installations within Haslemere and its surrounding areas. If you do not currently have Central Heating or are wishing to completely upgrade your existing system, Buxton Heating are able to discuss your requirements and provide eco-friendly and cost effective solutions. We will endeavour to make the pipe work in your house as hidden as possible and site your boiler and radiators in a suitable place. Buxton Heating have many years of experience in the installation of central heating in homes across the region. From our base in Haslemere, we’ve installed central heating systems in all types of property in many locations across the region, from Petersfield to Guildford and everywhere in between. 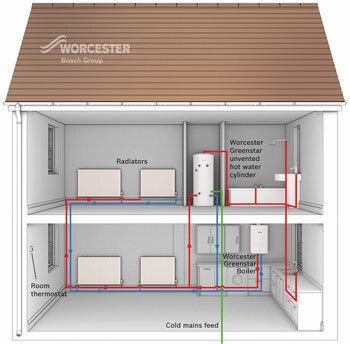 If you’re looking to replace your central heating system, talk to us today to find out more about how we can help you.